As conflicts in Iraq and Syria have forced millions of residents to flee their homes over the last several years, a leading Christian persecution activist has explained that over 80 percent of Christians have left Iraq in the last 13 years, while nearly half of all Christians have fled Syria since 2010. Before the United States military went into Iraq in 2003, captured dictator Saddam Hussein, and opened up a power vacuum, Iraq was home to about 1.5 million Christians. But after sectarian violence commenced and the brutal Islamic State terrorist organization rose to power in 2014, fewer than 300,000 remain. Meanwhile, in neighboring Syria, civil war has ravaged the country over the last five years and the rise of IS (also known as ISIS or ISIL) inside the country has compounded problems, thus creating one of the worst refugee crises in the 21st century. 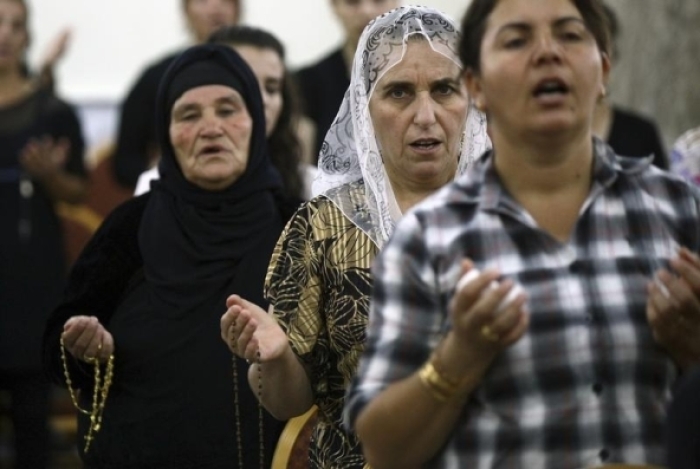 Prior to the mass exodus from Syria over the last five years, Christians comprised about 10 percent of Syria's population. In a recent interview with the British news outlet Premier, Lisa Pearce, the CEO of Open Doors U.K. and Ireland, explained that the Christian population in Syria is only half of what it was in 2010. Additionally, she said that only about 17 percent of the Christians who lived in Iraq before the start of the Iraq War remain. "Since the war began in Syria, about half of the Christians have fled the country," Pearce, the head of one of the most prominent Christian persecution watchdog groups in the world, said. "In Iraq since 2003, five out of six Christians have left because they have completely given up hope of a future there." A report produced by the Catholic fraternal organization Knights of Columbus in March found that just 275,000 Christians remained in Iraq. But that number has likely declined in the last seven months. As the U.S.-led international coalition and Iraqi forces have helped kick IS out of more than half of its territory in Iraq and recently began an offensive to reclaim the group's largest Iraqi stronghold of Mosul, Pearce said it's imperative that the persecuted and displaced Christians of Iraq and Syria be given the opportunity to return to their homelands and feel as though they are a protected part of society. 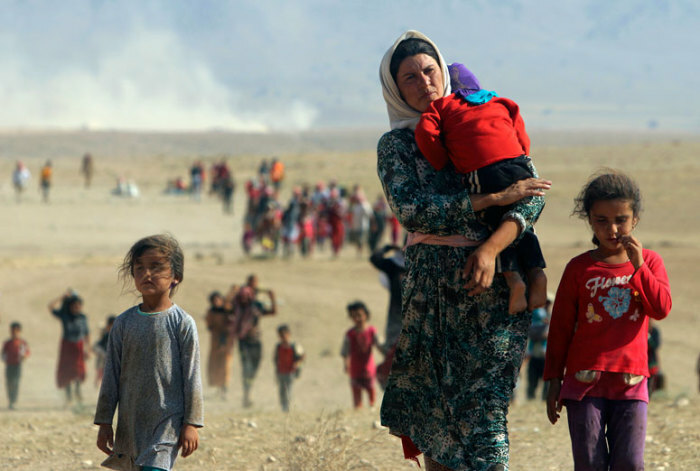 However, many Christians and religious minorities who fled from the persecution of IS in Iraq and Syria, might never want return to their homes because they fear that the severe persecution that forced them to flee from their homes to begin with will happen again if measures aren't taken to explicitly protect their communities. "Well, we can't ask people to stay or to leave, but it is crucial that they have the opportunity to stay because this is the homeland of Christianity," Pearce told Premier. "Jesus visited Syria from Galilee and Paul was famously converted on the road to Damascus. In Iraq, the Christian faith is so ancient that tradition holds that it was the disciple Thomas who first brought it there." When asked how the international community can intervene to make sure that Christians and other religious minorities are not being overlooked in the global discussion about the region, Pearce said the situation, especially in Syria, is so "messy" that there aren't any "easy silver bullets"
"It is making sure that they are part of that discussion, part of that framework that we are considering when we are looking at different ways to intervene because there is great danger in all these debates about Sunni, Shia and Russia," Pearce said. "There are huge parties involved, but those groups who aren't a large population, they fall through the cracks. Not just in the country, but in our plans to support the region as well." "They have contributed to their societies and they love their countries. My prayer is [the same] prayer of one Iraqi lady, who says, 'I want my fellow Iraqis to know that I am not a guest in this country. Treat me as a sister and not as a guest,'" Pearce continued. "My prayer is that the Christian communities will not be seen as on the side and won't be seen as a vulnerable group of poor people that we really ought to help; that they will be seen as an equal part of society and they will have a role and opportunity to be part of reconciling and rebuilding those societies for everybody's benefit and that Christians in that diaspora who fled will gradually gain confidence and return." Premier news also interviewed an English-speaking Syrian man named "Rami." Rami explained that Syrian Christians are calling on the international community to do three main things before they feel protected enough to return to their homelands. "They are calling for equal citizenship. So, they are actually calling for a legal and constitutional framework that will protect them, that would ensure that this position that they hold in society is protected for the future," Rami said. "They are also calling for dignity. They are calling for dignified living conditions that will enable them to stay in a dignified way, not through begging with food packages and humanitarian aid. They want sustainable jobs and education and housing. The third thing is that they are looking to increase the role that they are playing within the conflict." "One of the these things that is on their heart is to play a bigger role in reconciliation and rebuilding," he added. "This is something that is very strategic because they are an integral part of the fabric of society. They should be playing an integral role in this process that will contribute to what the future of these countries would look like."